Intel has approximately 13,000 employees in California at its two major sites in Folsom and Santa Clara. 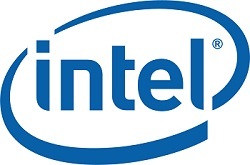 During the last five years, Intel has contributed more than $80 million to educational institutions and non-profit organizations in the state of California. Intel focuses much of its corporate philanthropy on areas like sustainability and STEM education in its local site communities. Intel Involved, the company’s global volunteer program, has become one of the most comprehensive and generous programs in the country. Intel’s Folsom site continues to be a model of exemplary community service. Through the Intel Involved Matching Grant Program, the Intel Foundation awards cash grants to qualified schools and nonprofit organizations based on employee volunteer hours. Last year, more than 3,000 Folsom employees collectively devoted 216,000 volunteer hours within the Sacramento region. In total, more than $1.5M will be contributed to local nonprofits and schools through matching grants generated by Intel volunteer hours. It is this kind of employee dedication and passion that has made investing in site communities deeply ingrained in the company’s culture. Click here for more information about Intel Involved.